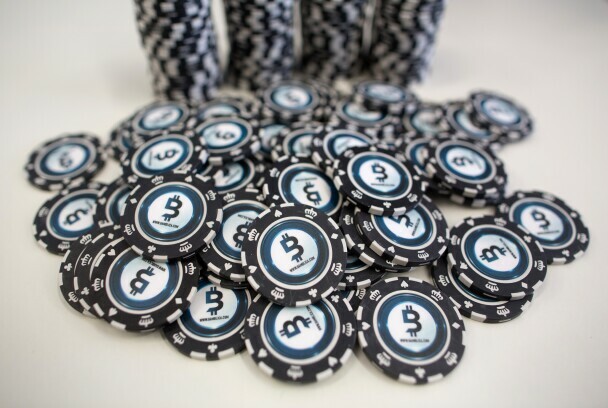 Casino gambling chips decorated with bitcoin logos at the CrytoSpace conference in Moscow on Dec. 8, 2017. Cryptocurrency has legal ethics implications for lawyers who accept it as payment, store it for safekeeping on behalf of a client, or assist in an initial coin offering. But lawyers have remarkably little guidance on how to stay on ethical footing when dealing with cryptocurrency and other blockchain technologies, members of the Association for Professional Responsibility Lawyers said at a recent panel discussion.